So, what made you decide to do a season 2 of Dark Detour? What were your final experiences of season one and what conclusions did you draw from the process and the outcome? Alison: We’d always planned to make Dark Detour an annual event – an anthology if you like, but we wanted to see how things played out last year before we made any promises or announcements. Our final experiences of Season One was that we were excited to deliver a story in real time over social media, that ARGs are far from dead, that Steve is awesome at creating puzzles and that working across 2 timezones really works for us! Steve: I considered Season 1 a success, and I think we stumbled onto a unique way to tell a story that I hadn’t quite seen before. We really tried to do things in a way as to be accessible to as many people as possible, and people sure seemed to have fun in the process. We wanted to crowdfund again this year partly to gauge interest as well, plus we wanted to grow our audience as compared to last year. Jenni: I have the unique experience that I was actually a participant in season 1 and now I get to go behind the curtain and experience that in season 2. It gives me an opportunity to give the player point of view in order to help us make season 2 an even stronger experience. I also have a lot of interactive storytelling experience myself from my work on The Lizzie Bennet Diaries and The New Adventures of Peter and Wendy. When we discussed this second season earlier, you mentioned adopting a new take on crowdfunding? Would you care to elaborate – what kind of a new take, and why? Alison: We were inspired by Elan Lee’s gamification spin on the crowdfunding process – where retweets and challenges added community, not directly equating to more funding, but to more fun! Steve: Well our new take really concerns the stretch goals. Once we hit our goal (a few days ago), I blatantly stole Elan Lee’s Exploding Kittens mechanic in that we didn’t ask for more money from people we’d already gotten money from, but instead asked them to do things that a) were fun; b) were free; and c) helped spread the word and get more people involved. Last year the two of you, Alison and Steve, did the project between the two of you. What made you expand? Alison: A few things! 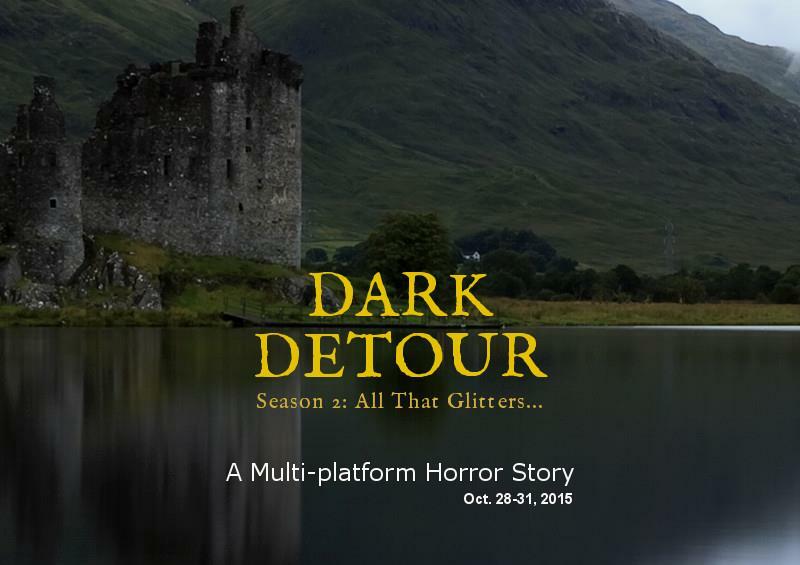 Workload of course – we both worked a ton of additional unexpected hours on Dark Detour last year, but we wanted to bring in Jenni Powell and Nick Tierce because we know they will bring some fun creative muscle too. Care to lift the lid on the project a little bit? What can we expect? You’ve mentioned a Nordic twist – how will that play out? Alison: Oh yes, there’s a Nordic twist! Last year our story was set in US – a journey from NY to LA. We’ve brought the story to the English moors this year but have sprinkled a distinct Scandinavian flavour – one of our main characters and some very real mythology can be expected! You can expect us to use some new, different platforms to tell our story this time around. 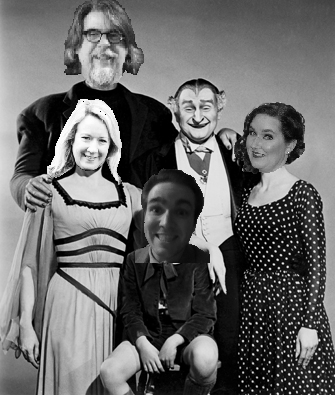 Plus, we have some more spooky social media tricks up our sleeve that I can’t divulge. Final question – why should I as a viewer/user engage in this? And how do I do it? Steve: You should take part if you like fun, interactive stories that feel like they’re actually taking place in the same world you live in. Because all you do is follow a few people on social media, the story will come to you the same way all your friends’ stories do, which makes it feel pretty real. Plus you never know when they might reach out and interact with you on a one-to-one basis. To take part, go to darkdetour.com and register. Then, when Halloween approaches, we’ll email you to let you know who to follow/friend etc. That’s it! Jenni: And, you know, how often do you get to get together with a group of people…some friends, some strangers…to help move a story along in a way that your actions have real effect? For a week, you get to step outside your normal routine and dive into other people’s lives and experiences and actually have a real impact? There truly is nothing quite like it.